SupportEd applies EL expertise to evaluate and/or create products and materials targeted at P-12 EL students and their teachers. 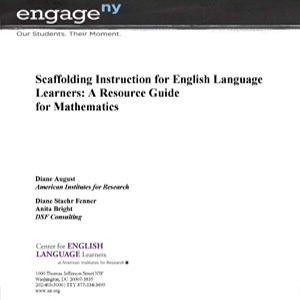 We work with clients to scaffold pre-existing instructional units so that ELs can access challenging content and simultaneously develop their academic language skills. 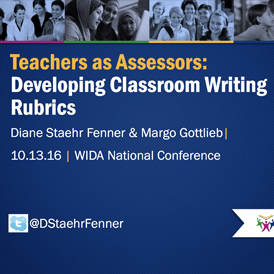 We also work with clients to develop, pilot, and refine formative assessments to measure ELs’ academic language as they access challenging content. We partnered with the American Institutes of Research (AIR) to scaffold New York State’s extensive Common Core-aligned curricular units in Mathematics in P-12 for ELs. 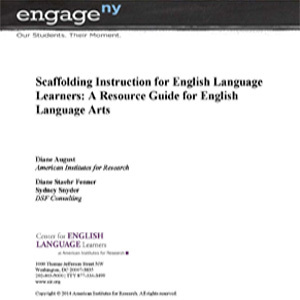 We partnered with the American Institutes of Research (AIR) to scaffold New York State’s extensive Common Core-aligned curricular units in English Language Arts in P-12 for ELs. 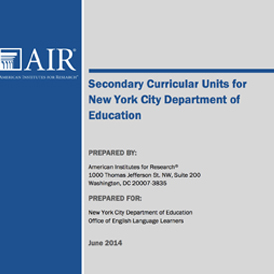 We also partnered with AIR to develop Common Core-aligned exemplar secondary units for the New York City Department of Education. In partnership with Council for Aid to Education, we worked with a cohort of New York City teachers to develop formative assessments and a suite of supporting materials for K-12th grade teachers of ELs in New York City Schools.